Sculling over whirls of turbulent water and watching the side lanes that go by can easily scramble adrenaline. 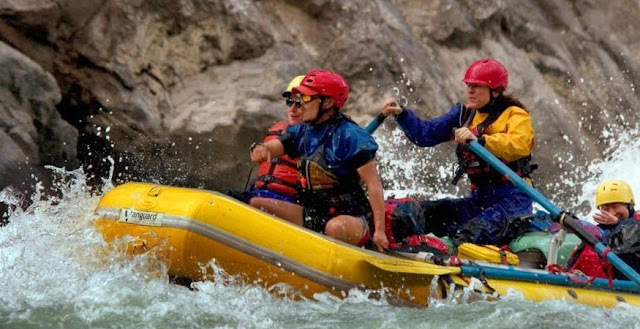 Besides the high energy fizz, white water rafting also makes an exciting way to explore the immense beauty of backcountry. Men and women of different nationalities raft with a common mission, i.e. to cross the rapids bravely. What better way is there to see the Grand Canyon and the flow of the Colorado River? How do you get closer to the Victoria Falls? So, rafting is the thing through which you can see the beautiful creatures of the nature. 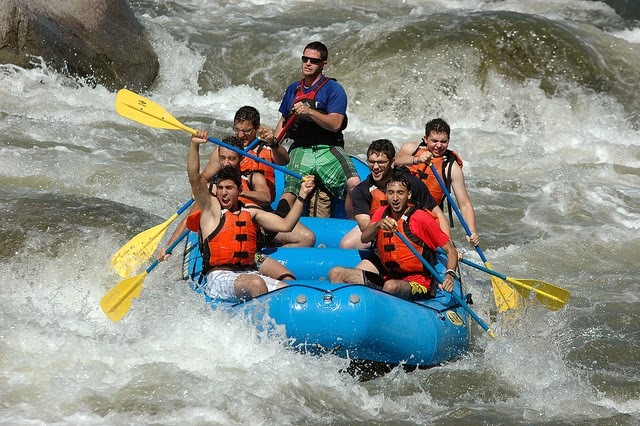 Here is a list of some best destinations for white water rafting. So, get ready with the swim jacket and join us on this wet & fierce ride. Zambezi River is located in Zimbabwe. 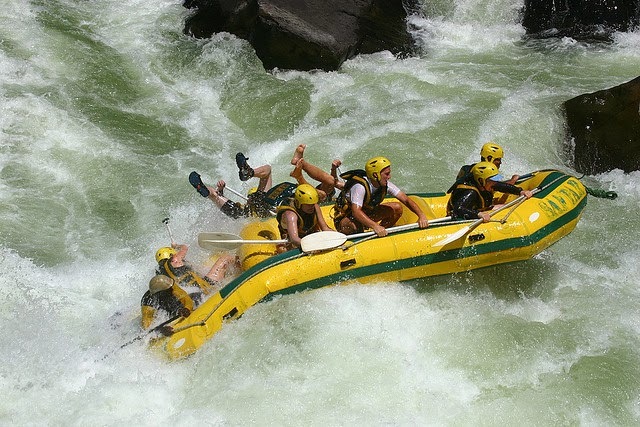 White water rafting is something adventurous and should be experienced by adventure lovers. Warm sunny weather, scenic beauty of Africa captivates anybody there while jouncing around at the base of Victoria Falls. You can also round off your rafting experience with camping on white sandy beaches and wildlife for which it is famous. 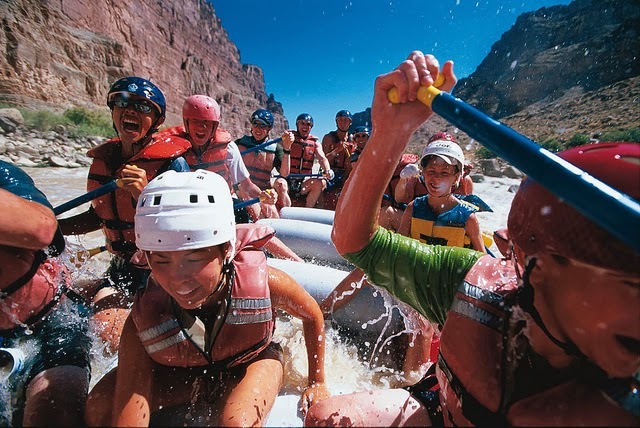 Rafting in this Grand Canyon trip is supposed to be the best one according to many visitors. 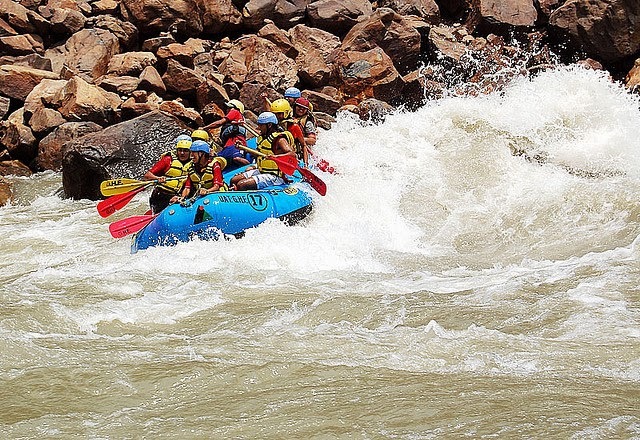 This area has many things to offer to its visitors like 226 miles of rafting which is really a surprising thing for anyone, hiking paths up the canyon and the famous Indian ancient ruins, view of the Grand Canyon, pristine beaches, campfire, amazing beauty of the Colorado River, etc. Exploring the great national parks of America like the Grand Canyon National Park becomes easy through river rafting. One by one surprises of this place exhilarate the visitors that rush their adrenaline at a great instant. 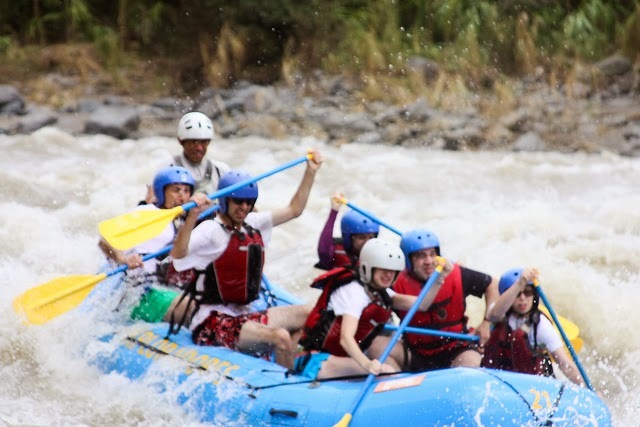 Costa Rica is another gem of the white water rafting spots in the world. It has something for everyone. From families to adventure junkies, all find this place adventurous enough to dwell in it. Its natural exotic beauty and stunning wildlife captivate anyone to this place for a long time. All these qualities make this place an ideal holiday spot. This river is located in Chile and is not known only for white water rafting but also for its unique permanent river camps alongside the river. They are built with river side Hot tubs, Hot showers, Tree-houses, beds, etc. and provide many facilities. If you feel tired of rafting, then you can take rest in these camps or can try horseback riding, hiking along the river. These are also adventurous and preferred by most of the visitors. 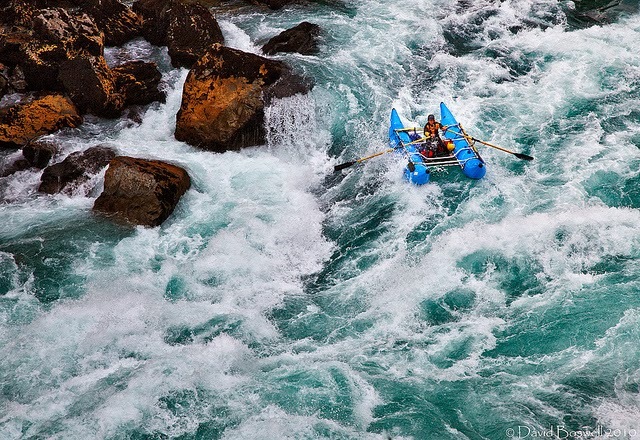 Idaho is known for its thrilling adventure of white water rafting. It is an adventurous holiday place popular for its wilderness. Scenic views of Idaho river, Salmon river, crystal clear water and soothing hot springs, all make it a natural and placid place. Enjoying rafting there is a lifetime experience due to many high bends in the river. Most liked by the adventure lover youngsters. Yangtze river, a most famous river of the world is located in China. Rafting is a tough task on this river. Till now, less than 150 people have ever rafted on this river. The huge bends that run through canyons are very thrilling. This canyon is twice as deep as the Grand Canyon, only a third as wide and the water flow is twice as forcefully as in the Grand Canyon. Ganges River is a very holy river of India and is supposed to be one of the best places for white water rafting in Asia. It connects many wild water rivers. Devprayag is the place where you can test your rafting skills as two big rivers namely Bhagirathi and Alaknanda meet there and form the Ganges. This trip is worth as besides rafting you will get the opportunity to explore the India. All great places. I have heard of people that the Costa Rica ride is quite thrilling! Thank you Mersad! I appreciate you stopping here.. and Hope keep visiting. It´s a BEAUTIFUL serie with a lot action ..... nice and colorful. Oh, wow! I love rafting! We have some place for that here, but it is not so often we can go there..
i love this post. great photos you've shared. Beautiful photos, but I really like the sport is very risky! What an adventure! They are really brave to try rafting. Na samo patrzenie na pływających adrenalina mi się podnosi. Sam jednak bym się bała pływać. Ślicznie pokazane na zdjeciach emocje ludzi. Pozdrawiam. In just looking at me flying adrenaline rises. He, however, would be afraid to swim. Beautifully shown in the pictures the emotions of people. Yours. Very exciting sport, and terrific pictures. Thanks so much all my friends!